This #GivingTuesday, the GoAbroad Foundation has the amazing opportunity to not only work with Hope Home, but also personally connect with the wonderful woman who started it all! Superhero, Judy Cook is here to take us on a beautiful journey, and share with us how Hope Home started and walk us through what it has blossomed into today. What inspired you to start Hope Home? It all started when I met and began to foster a young girl with cerebral palsy. I was then subsequently asked to care on a daily basis for two young boys with physical needs as well. This helped me realise there was a need for children with special needs, especially those without family. These children needed a safe and nurturing environment in which to grow, develop, be loved, and respected. This started just over 10 years ago and the need continues for a residential place for orphaned or abandoned children, as well as helping families cope and care for their own children despite the challenges. 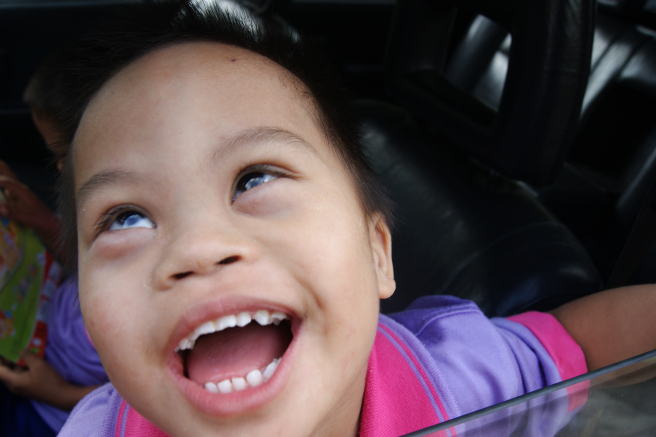 How has working with children with disabilities impacted your life? The last 10 years I have been truly blessed by the way each child and family members have responded to know they are loved, respected, and valued. I do not see this as work but as a way of life. To seek, help, and encourage children and their families to reach for their full potential. I receive far more in their love, acceptance, and fun than I can ever give to them! What does a normal day at Hope Home look like? Well if you really wish to know, chaotic….noisy…..fun….messy…..and full of laughter! There is school time, medical care, physical and occupational therapy. Of course, there is also lots of eating, showering, sleeping, and playing. 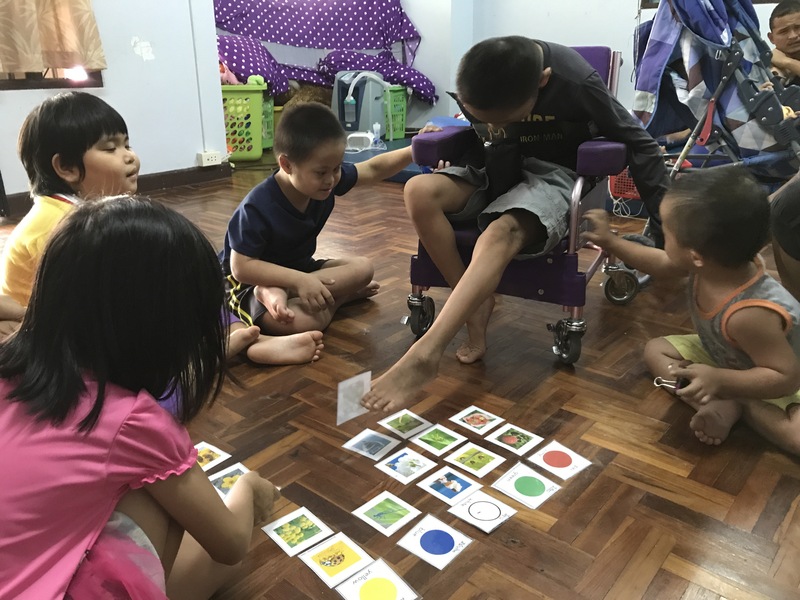 There is no “typical” day really – though midweek some of the children are able to attend school, weekends are more relaxed and fixed on family time. How many children have been adopted since the start of Hope Home? Three – two living abroad now and one still in Thailand. Plus three children are living in full-time Thai foster care with the help and support of Hope Home. What exactly is a sensory room? What tools are used? A sensory room is a designated therapeutic space set aside to meet the varied sensory needs of the children with sensory or communication needs in particular. It is a way to help teach children to safely self-manage their sensory needs with appropriate coping mechanisms. Tools such as a semi-darkened room with fiber-optic low lighting, bubble tubes, and various visual stimuli. Stimuli would be objects such as a rotating projector, nurturing areas (hammocks), bean bags, soft mats, tactile areas with a variety of textures and sizes, and SO much more! How do you go about helping the development of the children at Hope Home? We believe that promoting their independence as much as possible in all areas of activities of daily living is crucial to their happiness and well-being. We also strive to provide as much of a family style atmosphere as possible. We focus on good nutrition, hygiene, and medical care specific to their particular needs and tailored to their physical needs. Speech and occupational therapies for each child are also provided by the staff of the home. We are genuinely thankful for everyone who comes in contact with us, from volunteers to visitors and various outside sources. With their aid at medical clinics, educational support (by sending children that can attend school, as well as a home-school set up for the afternoons), and for all the social interactions outside the home through school, church, and community visitors, we are eternally grateful. How do you offer support to families who have a children with disabilities? We try to offer support and encouragement to families and empower them to continue to care for their children. We help by visiting some families at home and helping with small income generation projects, such as cross stitch work. This kind of skill enables the mothers to work from home to supplement income to the family and advocating to help them access the medical services which they have a right to have. We help with financial support in the form of milk, nappies, transporting children to school, and providing scholarships so they can complete an education. Just by being an encouragement to families we meet and letting them know that they are doing the best they can for their child, as well as empathizing that we do understand is all they need sometimes. How many children are currently living in the Hope Home premises? We have seven residential children who are from the government orphanage and one older young man. When accepting volunteers, what skills do you think are good to have when working with children at Hope Home? A love for children with special needs! People with experience in areas such as physical therapy, music therapy, occupational therapy, medical skills, arts therapies, and special education are especially welcome. Where would you like to see Hope Home in five years? With an increased input into supporting families, an increased number of children in functioning foster care, and the ability to provide more services to individuals and their families. Of course, we would also LOVE to see more adoptions (internal or abroad) for children with no family and at an earlier age. 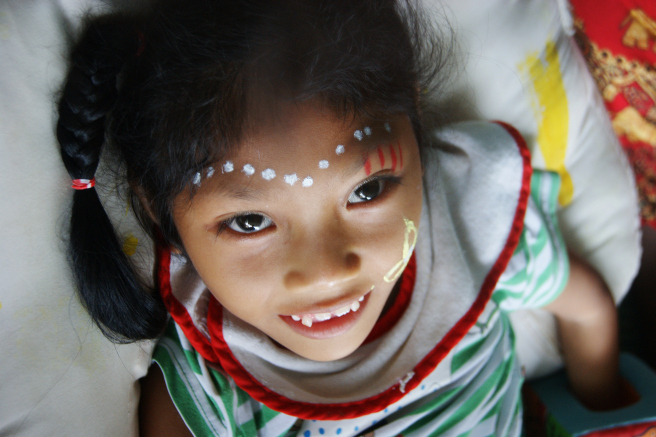 Ready to provide hope in Thailand? Join the #Giving movement now!